Last night, lambing season officially came to a close with a happy ending–an easy birth (albeit late!) and a single buck lamb. 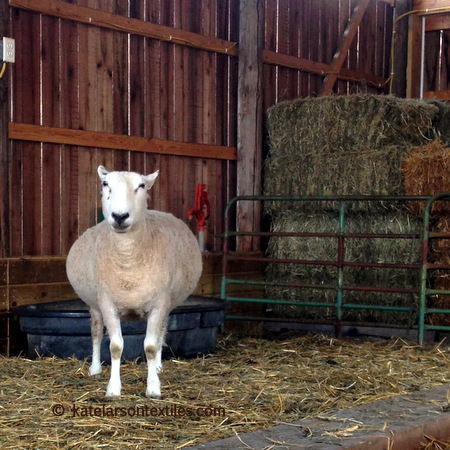 Nora about a week before lambing. 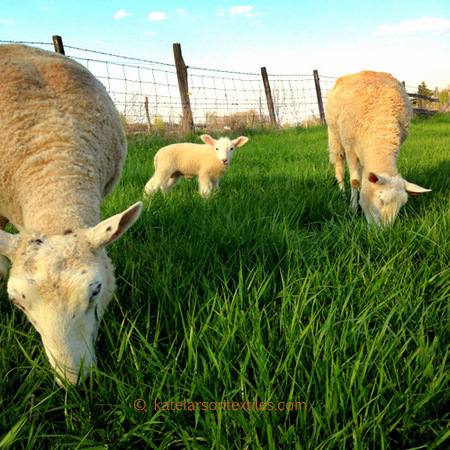 I typically begin lambing in March so that the lambs are born when it’s time to begin grazing our spring pastures. I aimed for a later window this year so the lambs wouldn’t begin to arrive until I returned from teaching at Interweave Yarn Fest in Loveland, Colorado. It’s been an unusual lamb crop with primarily single buck (male) lambs, whereas in the past, twin ewe lambs has been the typical trend. One never knows! 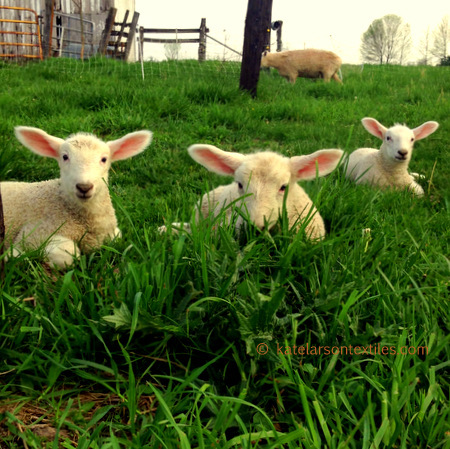 While the lambs are very young, I keep the group in a pasture just outside the barn. This gives them a chance to learn about flocking. The lambs will often play together, wandering farther from their mothers as they get older. A small, safe paddock allows them to practice bouncing with their buddies, realize that their mother is no longer in sight, and learn how to find her again without panicking. Per Hansa at about four days old grazing with his mother (one of Nora’s daughers) at right. Bouncing is hard work and many naps are needed. Now that all of the lambs are born, they will be heading out to the larger pastures. I’ll share a video soon! Adorable!! Love your lamby posts! !